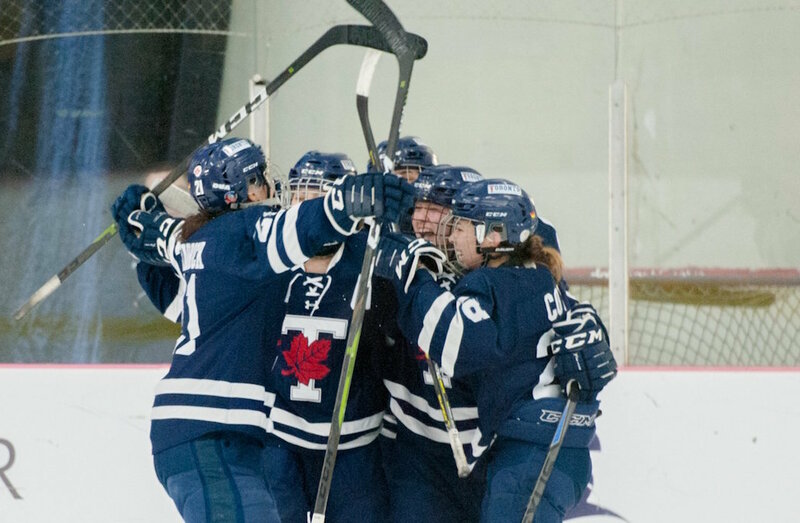 The Toronto Varsity Blues found themselves in another close game, but this time came out on top 2-1 over the St. Thomas Tommies in Saturday’s second consolation game. Despite Friday’s disappointment, the Varsity Blues wanted to show that they’re better than the eighth seed they were given ahead of the tournament. After a rough outing the night before, St. Thomas goaltender Abby Clarke stepped up in a big way in the first period. The Tommies were penalized five times in the opening 12 minutes and played undermanned for the majority of that time, including contending against a 5-on-3 advantage. Their penalty kill did an admirable job keeping Toronto shooting from the outside, but it was Clarke’s performance between the pipes that kept her team in the game with her 16 saves in the stanza. With 44 seconds to go in the frame, St. Thomas’ undisciplined play came back to haunt them. While on the power play, Louie Bieman set up Kassie Roache with a short pass across the crease for the easy tap in to pull the Varsity Blues ahead 1-0. 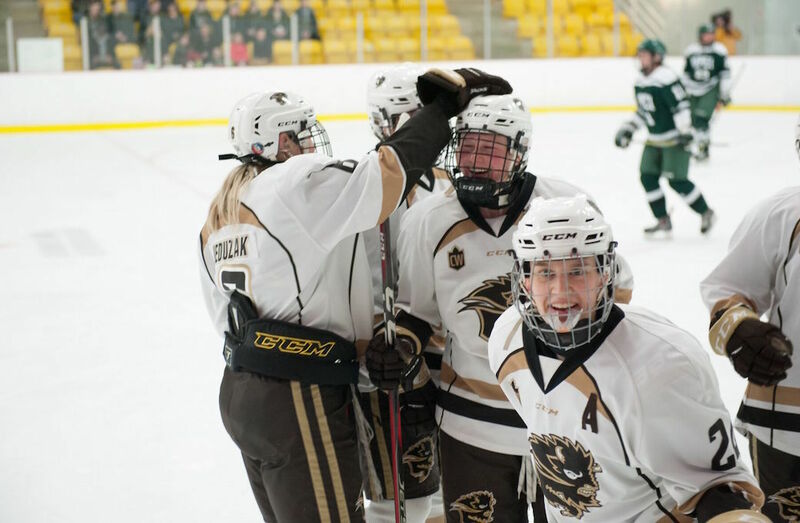 The Varsity Blues will face the Manitoba Bisons in the consolation final on Sunday at 10 a.m. ET / 7 a.m. PT.